Somewhat on accident this week, I ended up finishing a couple classic novels of the frontier genre. These are sort of Westerns, but instead of “cowboys and indians” they’re more about life — and usually its hardships — on the frontier of America in the 1800s (usually the great plains of Kansas/Nebraska and the Rocky Mountain region). They tend to tell a really interesting aspect of our nation’s story, and they don’t often come with the blatant stereotypes and/or racism often found in old cowboy/indian stories. Published in 1913, O Pioneers! (161 pgs, and most editions are actually less) has long been considered a classic not just of frontier literature, but American lit as a whole. It’s a short novel, but packs a punch, with superb reflections on the nature of, well, nature (and particularly our human connection to it), and family and community relationships in a harsh and unforgiving landscape. It had been on my list for quite a long time, and I loved it from the first page. The star of the novel is the tough and headstrong — in the best way — Alexandra Bergson. She’s teenaged at the start of the novel — caring for her dying father and learning how to run not only a Nebraskan farmstead, but her brothers as well, who are headstrong in the worst way. 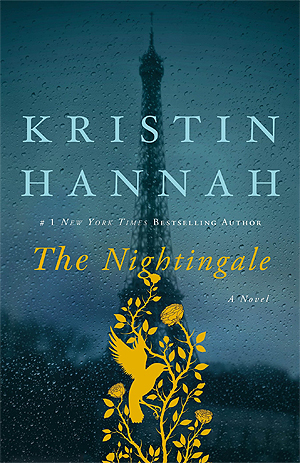 When the elder Bergson passes, Alexandra takes charge, forsaking her personal life and making unconventional choices in a land that’s being deserted by most of its inhabitants. And for even more reader enjoyment, there’s some romance and surprising plot twists thrown in. Alexandra instantly became one of my favorite, most memorable characters in classic literature. O Pioneers! is the first of Cather’s “Great Plains Trilogy,” followed by The Song of the Lark and My Antonia. The stories and characters aren’t connected at all, just the prairie landscape and the badass women who live and work there. I of course plan on reading those, and a few others of hers outside the frontier genre that are also considered classics — namely Death Comes for the Archbishop and the Pulitzer Prize-winning One of Ours. Willa was a fascinating woman in her own right, spending 13 formative years of her childhood in Nebraska, but then moving to Pittsburgh, and eventually New York as a working, writing adult. Those times on the frontier were obviously vividly remembered though, and made enough of an impact for her to pen some great American classics on the topic. Fun fact: The title is said to have come from Walt Whitman’s famed poem “Pioneers! 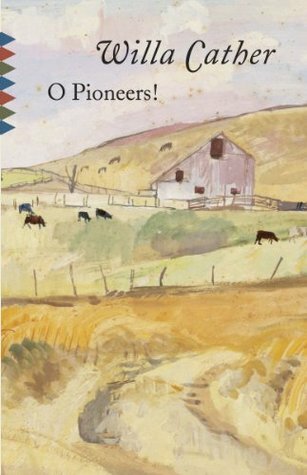 O Pioneers!” I’m not much for poetry, but it’s always been one of my favorites. Give it a read if you have a chance. 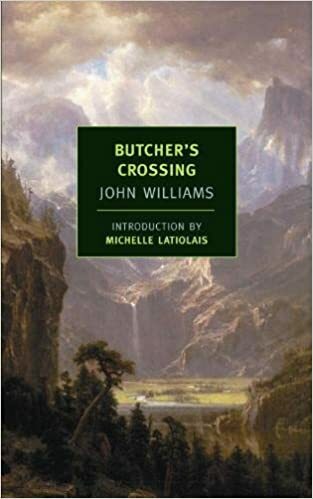 Amongst the almost two dozen classic Western/frontier novels I’ve read in the last 6 months or so, Butcher’s Crossing (297 pgs, 1960) easily took a place in my top 3. Considered one of the first of the genre to de-romanticize life on the frontier, the story is set in the 1870s and follows young Will Andrews, who has ditched Harvard, and been inspired by Ralph Waldo Emerson to come West in order to find . . . something. Meaning? Purpose? Himself? All the above, I suppose. Butcher’s Crossing is the small Kansan town he lands in, but shortly thereafter joins a buffalo hunting expedition that heads into the mountains of Colorado. They deal with everything the Old West has to offer: extreme dehydration and thirst, early snowfalls, feisty animals (both domestic and wild), and raging spring-time rivers — all set within a merciless buffalo hunt (slaughter, really). The pages flew, and I finished it in just a few days. It sort of ends up being a classic coming-of-age story. Will Andrews just happens to do so by escaping to America’s frontier and trying to prove himself amongst the hardiest group of men he could find. Like any protagonist in a coming-of-age novel, he learns some hard truths not only about the land, but about his own make up. But, he also does find something meaningful, and ultimately has to choose between going back East, or venturing even further West. I legitimately didn’t know what he’d choose to do until the very end (and I won’t tell you, of course), which I think is a sign of a superbly-written character. This book reminded me a lot of Robert Olmstead’s Savage Country, which I mentioned about a month ago. Namely because they’re both about large buffalo hunts. Butcher’s Crossing was far better. I’m about in the middle of Tara Westover’s Educated. It’s been getting a lot of good press, and for good reason. It is inevitably compared to Jeannette Walls’ The Glass Castle, but I like this one better. Should be able to finish it by next week’s newsletter. February is coming to a close, so also next week I’ll give a rundown of my reading for the month, including my 3 faves. I know there’s been a lot of Westerns here in the first couple months of this newsletter; only another month or so of those before I’ll have that reading project finished up, and I’ll be in a far more diverse mode. Thanks for reading, and let me know what you’ve been enjoying this week! Published in 1983, The Assassination of Jesse James (304 pgs) has become a bit of a classic. 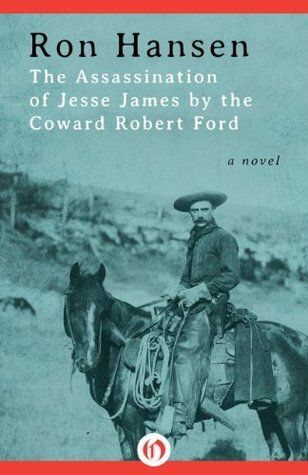 While the book is part of my Westerns project, it’s really more historical fiction, which verges on true-to-life biography of the (in)famous bank robber Jesse James, and his assassin, young Bob Ford. Overall, it’s a good book, though admittedly not a real easy read. The pages don’t really fly by, but the story is superb. Growing up in Minnesota, just over 30 minutes from Northfield, I was well aware of James’ Midwestern heists, including the 1876 debacle in Northfield, where the gang was turned back (and many of them killed) by hardy Swedish townspeople. To this day, the town celebrates Defeat of Jesse James Day, which is one of the biggest annual festivals in the state. It’s really a marvelous tale in its own right. Hansen covers that incident, but somewhat briefly. It’s mostly a character study of the eccentric James, and his obsessive, devoted minion, Bob Ford. It was only when Ford was convinced that James would kill him (and when the reward money became too high to ignore) that the 20-year-old killed James in his own home, while his back was turned and his gun holsters removed. Ford figured he’d be a hero, and while he was pardoned by the Missouri governor, became a bit of an outcast. He was a terribly interesting figure himself, and in fact the final quarter or so of the book covers Ford’s life after the murder (which, interestingly, largely took place in Creede, Colorado). Hansen noted that he didn’t stray from any known facts or even dialogue; he merely inserted conversations and episodes into previously blank periods of time. It feels as though Hansen is trying to write us an account of that time period, from that time period. Some folks will love that, some likely won’t. Again, a worthy read, but know going into it that you won’t fly through it. You should all know by now that I’m really into history, and of late, presidential history. 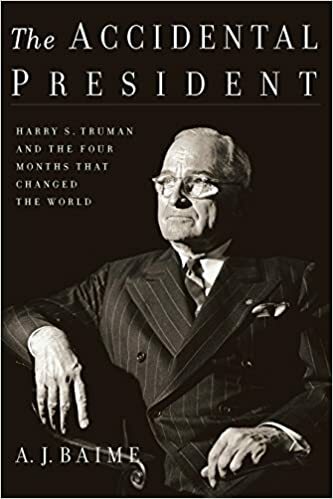 So when Reagan: The Life (737 pgs, 2015) by esteemed historian and biographer H. W. Brands hit my doorstep a couple weeks back, I dove right in. Despite being over 700 pages long, it’s one of the easiest reading biographies I’ve ever encountered. That helped, because honestly Reagan as a figure slightly bored me. Despite that, Brands manages to make the book incredibly interesting. It’s so easy to see how Reagan sowed the seeds of what the modern Republican party has become (he was, however, infinitely more honest, kind, and optimistic than our current iteration). From a very young age, Reagan had wanted to be famous. He wanted a stage, and more importantly, the affirmation that came with it. While he made it to Hollywood, he was never the A-list leading star he wanted to be, forever middling in B roles. He was the president of the Screen Actors Guild, though, and got a taste for politics. From there, well past the prime of his career, he fell into the role of conservative spokesperson for GM, which ultimately launched his political career, starting with the governorship of California. That leads to the grandest stage of all, the White House, and of course eventually into the conservative hall of fame. The story of Ronald Reagan is the story of the 1980s: the tail end of the Cold War (and fears of communism’s spread), the genesis of Middle East tensions, and the closing chapters of political cohesion. While the parties were certainly divided, Reagan was the last great negotiator president (despite what our current one claims), knowing it was better to get most of what we wanted — or really even just some — rather than standing pat for ideological purposes and gaining nothing in the process. While I don’t agree with most of his politics, Reagan was clearly a genuine, honest man who wanted the best for the American people, and acted accordingly. That’s not something that can be said for many politicians since. Like any good biographer, Brands gives keen insight into both the strengths and weaknesses of his subject, and provides plenty of fodder for devotees and detractors alike. There’s too little time spent on Reagan’s early life (he’s through college in the first 30 pages or so), and too much time spent on transcripts of conversations between Reagan and Russian leader Mikhail Gorbachev. Beyond that though, I really have no complaints. This is a great read for anyone who seeks to know more about how the foundation was laid for the modern political landscape. Short on time this week, so no extra bookish tidbits, but as always, thank you for reading. And of course, let me know what you’re reading. I’m always interested. Kings of the Yukon (286 pgs, 2018) doesn’t come out until May, but I received an early copy to review and plowed through it. Given the subtitle of the book — “One Summer Paddling Across the Far North” — it seems like the narrative would largely be a travelogue. 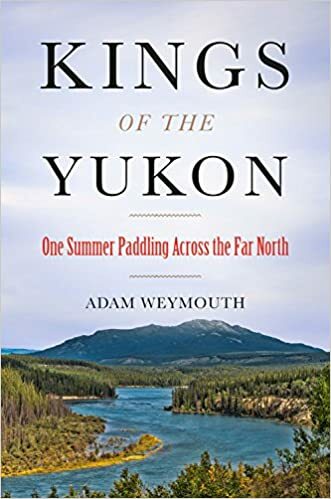 And while that’s certainly part of it — author Adam Waymouth canoes about 2,000 miles down the famed Canadian/Alaskan river — it’s mostly about the Chinook (or “king”) salmon, and the people in the villages along the way who rely on that fish for sustenance, both physically and economically. The Chinook salmon is undoubtedly in decline, and so Waymouth ventures to find out why. You’d think that climate change would be the ultimate culprit, but he comes to find that the real reasons are much more complicated, and go all the way back to the discoveries of gold and, later, oil. While a book about a tasty fish may not seem, at first blush, to be a terribly exciting read, Waymouth himself notes that “this is a story, above all else, of relationships, of the symbiosis of people and fish,” and keeps the pages somewhat inexplicably turning to the very end. Check it out and put it on your list if you’re into frontier reading, or environmental stuff. And also maybe if you’re just bored with what you’ve been reading lately; it’s certainly something different, and if nothing else, very well written. I did finish another book this week — The Big Sky by A. B. Guthrie (400 pgs, 1947) — but I didn’t much enjoy it, so I won’t bore you with the details. It was for my ongoing day job project to find the best Western novels. This book will not be included in my list, even though it is often found on other “top Westerns” lists. A bit too depressing and generally racist. Granted, a lot of old Westerns are, but not with the level of vulgarity of this one. Don Quixote by Miguel de Cervantes. Written in 1615, and considered the first modern novel. It’s long, but really quite funny. Some of the more memorable scenes in all of literature. Plus, you’ll forever be able to actually know what the word “quixotic” means. Frankenstein by Mary Shelley. One of my favorite books to this day. It’s truly a frightening book, but also intimately revealing of what it means to be human. So so good. Grapes of Wrath by John Steinbeck. The first Steinbeck I ever read, and I think still my favorite among the handful more I’ve read since. World War Z by Max Brooks. Pure zombie fun, but written much better than your average undead thriller. This 2006 classic (yes, classic) really jumpstarted the entire genre. Feel free to ask me for more zombie recs if you’re interested. Zen and the Art of Motorcycle Maintenance by Robert Pirsig. I only understood about half of this classic pop philosophy text, but the parts I did get were oh so good. Pirsig, in the midst of a cross-country motorcycle trip, explores the meaning of quality. I plan on re-reading this one again soon. No Country for Old Men by Cormac McCarthy. I’ve read most of Cormac McCarthy’s books, and this is easily my favorite. It’s like if Hemingway had written a really gritty Western. (And while it’s violent, it’s nowhere near as gruesome as Blood Meridian. Couldn’t even finish that one.) While the movie holds up really well, you’d be well served to read the book too. Quiet by Susan Cain. This book was popular when it first came out about 5 years ago, and continues to be today. Eye opening not only in regards to the particular strengths of introverts, but also how the way society operates clearly favors extroverts. Both types of people should read it. A Christmas Carol by Charles Dickens. Another one that remains an all-time favorite to this day. Dickens is a master without rival, and this was the first I read of his. I’ve read it a couple times since (at about 100 pages it’s really quick), and I’m sure I will again in coming holiday seasons. Do you remember any books you read 5 years ago? Anything that has stuck with you to this day? I'm a Gentleman & Scholar at www.artofmanliness.com. I write. I edit. I'm a Jack of All Trades. Questions? Contact me.